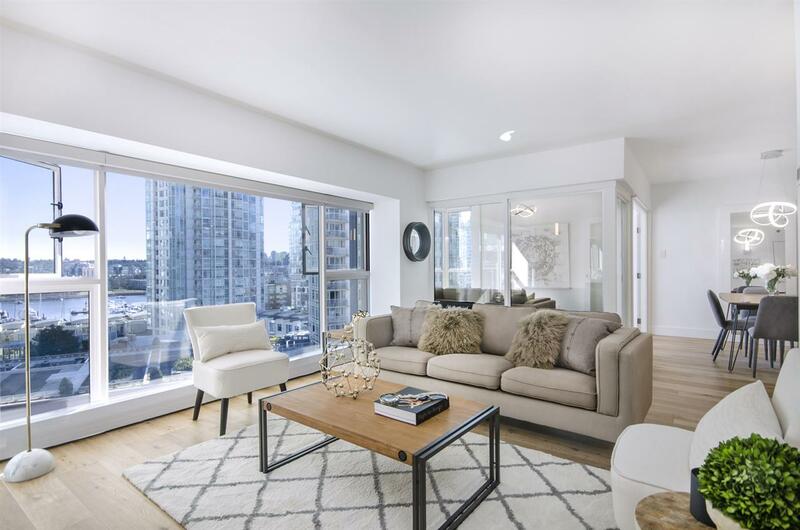 Best priced large one-bedroom & den in False Creek North. This suite has it all...gorgeous water views, insuite laundry, balcony & 1 parking. Just steps from George Wainborn Park & Vancouver's beautiful seawall. Functional layout with gourmet kitchen, gas stove & granite countertops & stainless steel appliances. Amenities include Super Club fitness with squash court, steam room, theatre room, guest suite & full-time concierge & security. Great investment opportunity.